Long gone is the popularity of the legendary selfie stick which has unfortunately been relegated to the dusty pages of history as the selfie stick is now barred from most tourist destinations. 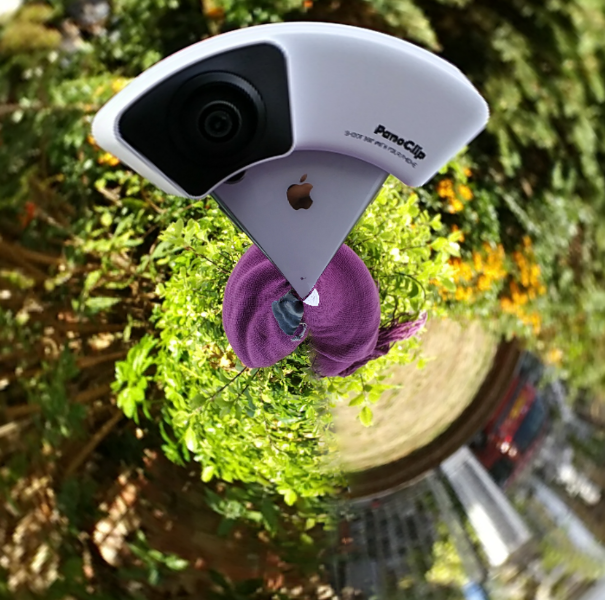 Luckily though, there are gadgets like the PanoClip which lets you take a 360-degree selfie at arms reach without obscuring anybody;s view or getting banned in the process! 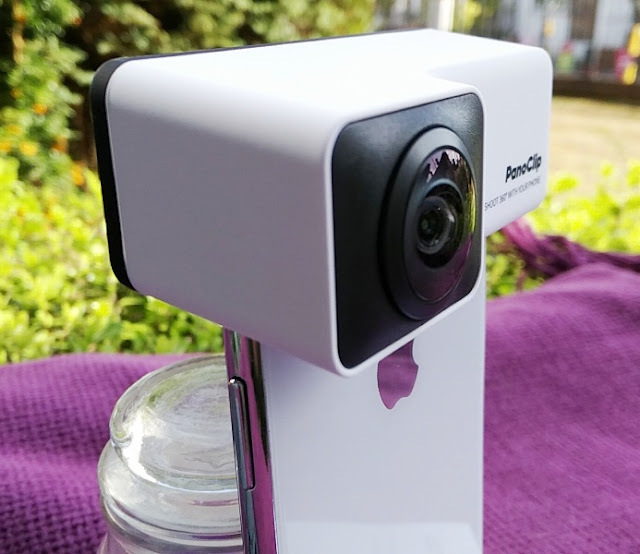 PanoClip clips into place and turns a phone into a 360 camera though currently PanoClip only supports some iPhone models including the pictured iPhone X.
PanoClip effectively turns an iPhone X into a 360 camera by taking a picture from each side and then stitch the images together via a mobile phone app by the same name. 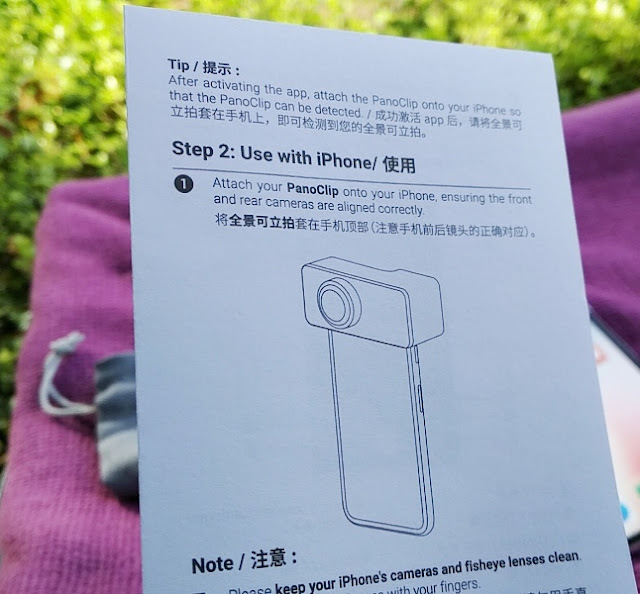 There is a lens on each side of the PanoClip for the front and back camera of the phone but the photo resolution of PanoClip is only as good as the resolution of the phone’s front and back cameras. 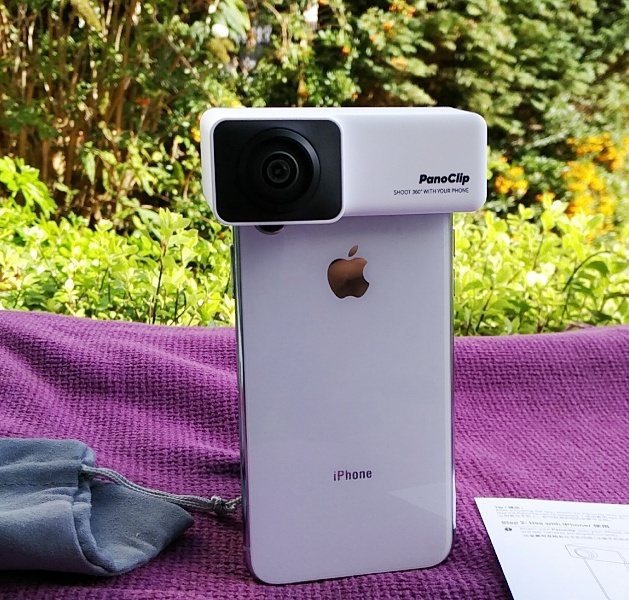 Once PanoClip is clipped into the phone and the PanoClip app loaded, taking a picture takes a couple seconds to complete though you still have to remain as still as possible while the 360 image is processing. 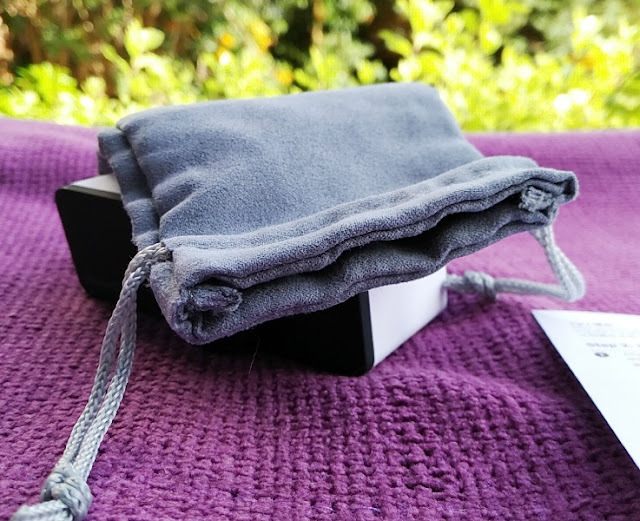 You also need to make sure that you face PanoClip in such way that the persons or objects you are capturing won't be at the edge between the PanoClip lenses. 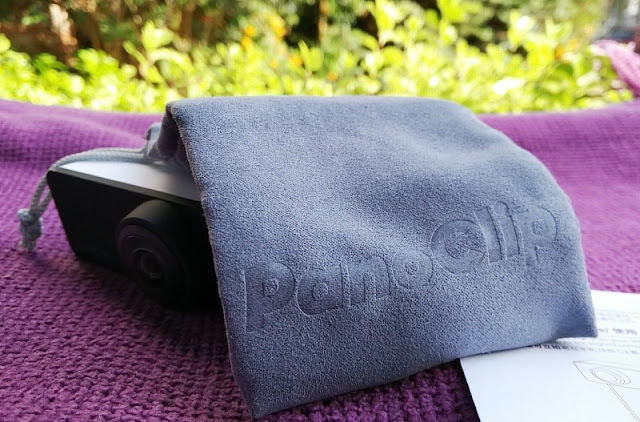 PanoClip works similarly to the Google Cardboard Camera app and while you cannot record video or audio, you don't have to pan around yourself. 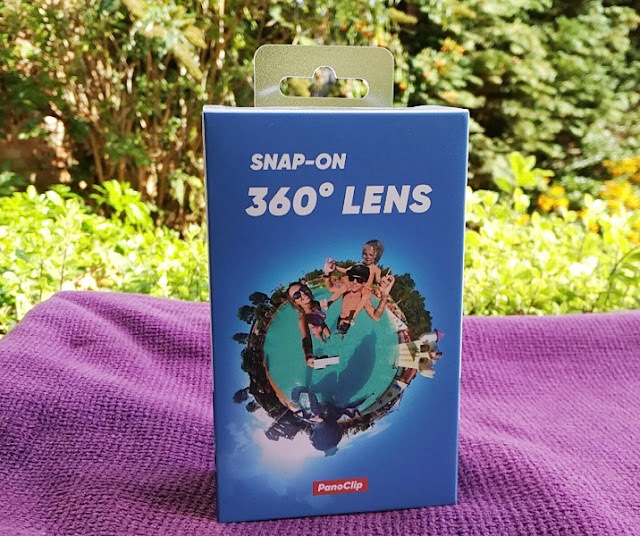 This makes PanoClip definitely easier to use than using a 360 smartphone app as you don't have to spin around with the arrow on the line to get a proper 360 photo. 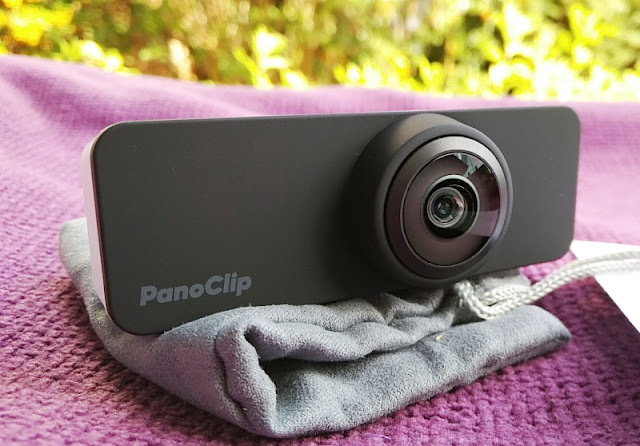 With PanoClip, you don't have to manually convert the 360 image either in order to share it later on as the PanoClip app does all the work for you. 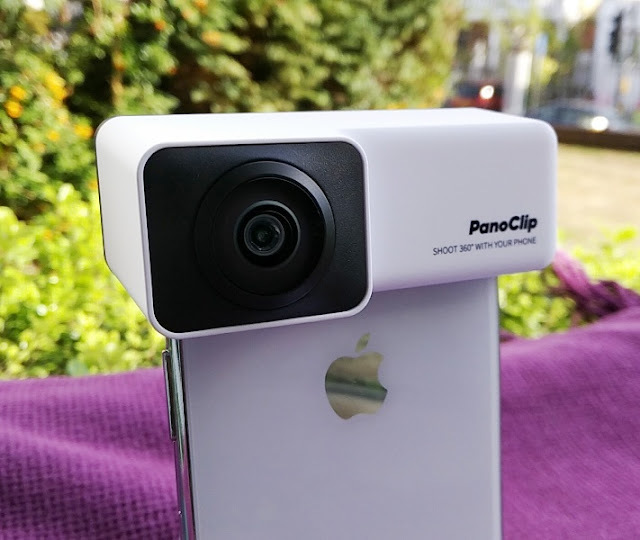 When taking pictures, the PanoClip takes one picture at a time from the front and rear camera of the iPhone so half the 360-degree sphere will have different picture quality because phones have different camera megapixel resolutions. In the case of the iPhone X, it has a 7-megapixel front-facing/selfie camera and a 12-megapixel rear-facing camera. 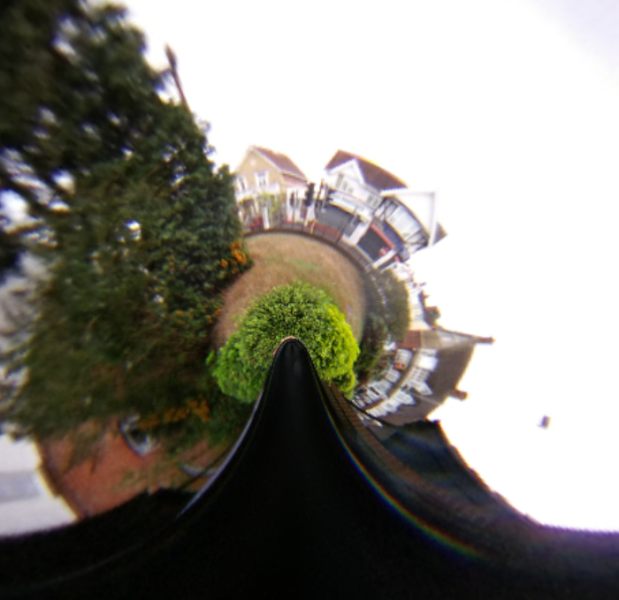 After taking a picture, the PanoClip app software generates three types of 360-degree images one of which is a tiny world version. The other two versions are a globe 360-degree view and a standard 360-degree panoramic. You can interact with the 360-degree images in-app thanks to different mode options including gyro and VR (virtual reality). Gyro mode uses the built-in gyroscope sensor in the iPhone so you can turn the 360-degree image around by tilting the phone sideways. VR mode is also pretty cool as you can use a virtual reality headset to immerse yourself into the experience. 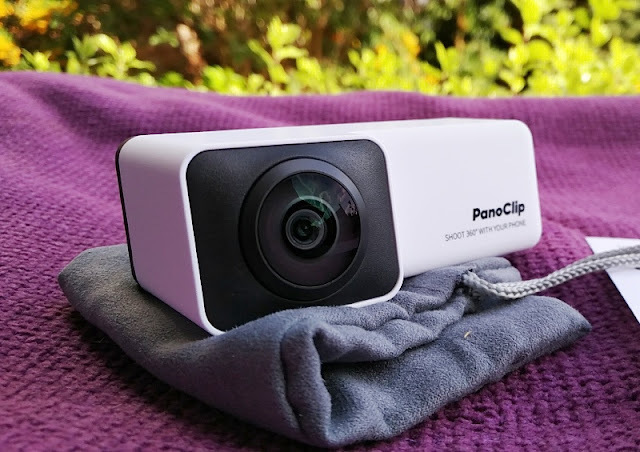 The PanoClip app has Instagram-like filters that you can add to the images, as well as a "share" feature that lets you share automatically the image to social media in "still" or different variations of 360-degree panoramic. 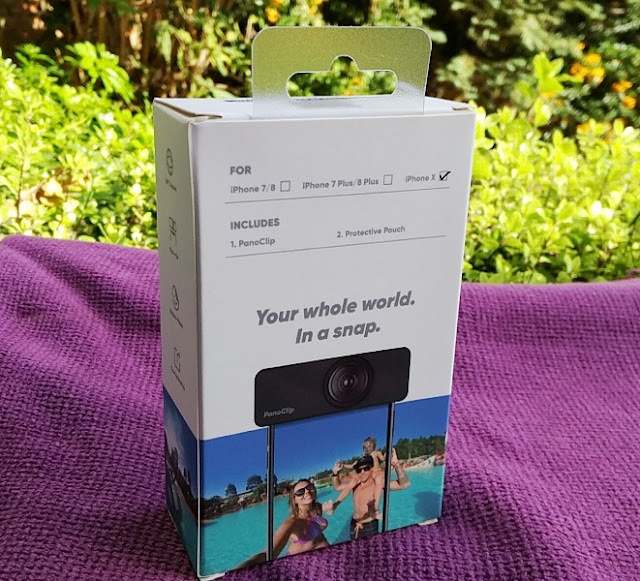 There is also a self-timer feature to delay taking a picture so you to take shots without the PanoClip 360 degree lens and phone in your hand. 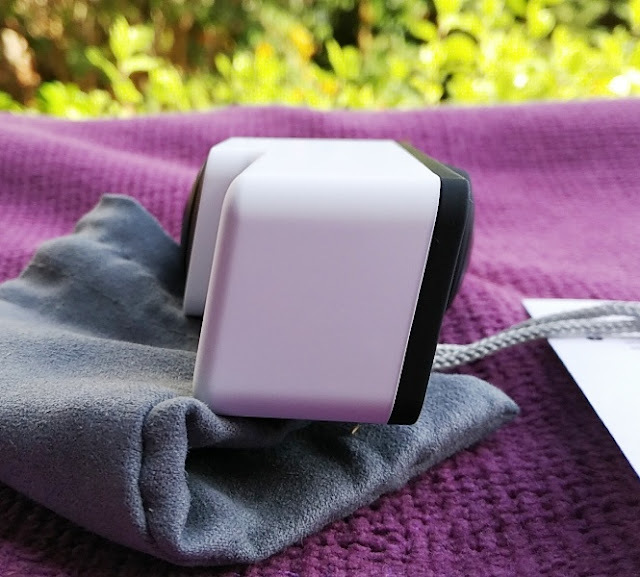 The self-timer option can be set to 3 seconds or 10 seconds and it's useful when wanting to take pictures without being yourself in the picture. Lastly, the PanoClip logo shows up in every image you take but you can disable the PanoClip logo from the settings.